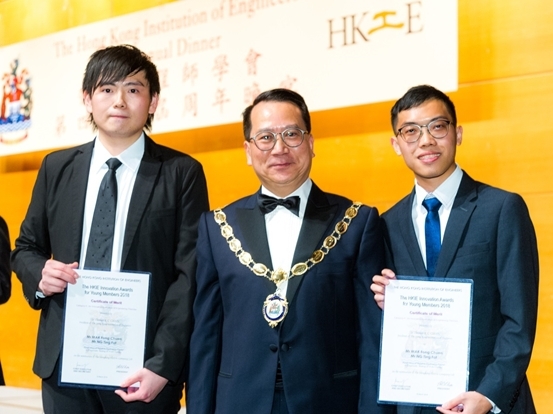 The Institution launched the HKIE Innovation Awards for Young Members in 2008 with the generous support of the family of the late Ir Kenneth Au-yeung. The aim of the award is to encourage young members to develop their creativity through the innovative application of engineering knowledge, and to inspire them to develop their intellectual and career interests in engineering. 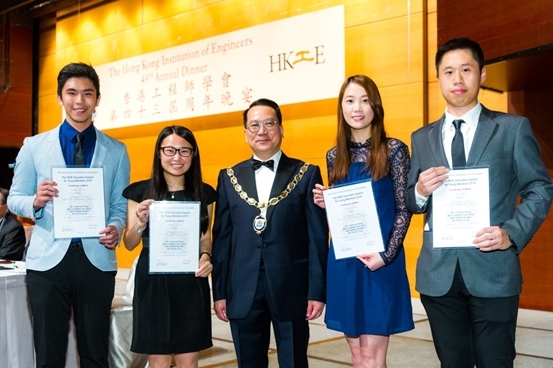 Entrants can focus on any areas of engineering disciplines within the context of the HKIE. There are two main categories: Category I - An Invention; and Category II – An Innovative Application of Engineering Theories. The innovativeness of the Design will be assessed on its originality and creativity. 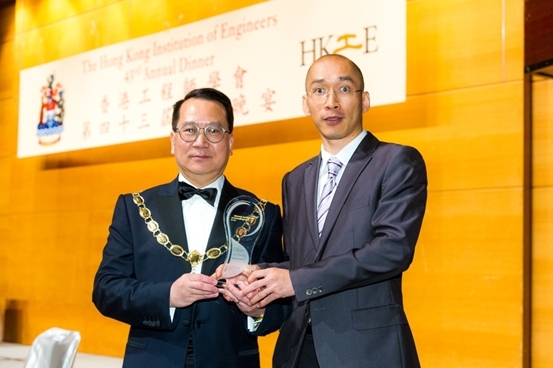 The winner of this year in this category, Dr CAI Yancheng received his award for his application of “Application and Design of 3D Seismic Isolation Bearing (3DSIB)”. Space structures (or spatial structures) such as exhibition centres, terminals and sports centres, normally have a long span and large open space for public congregation. The structural integrity of the space structures under extreme conditions, such as seismic condition, is always a concern at different stages of the design process. Previous disasters and research studies have shown that the response of space structures to seismic events including horizontal and vertical vibrations, are one of the main factors of seismic damage. However, the currently used seismic isolation bearings in space structures, e.g. rubber bearings and friction pendulum systems, are generally functional in the horizontal direction only. Few isolation bearings could function in both the horizontal and vertical directions. A 3DSIB developed by the Awardee’s research team could function in both the horizontal and vertical directions, and was verified by both engineering theories and shaking table tests. Further investigations have shown that using the 3DSIB system could notably improve the structural performance of space structures such as long-span hangars and lattice shell structures under seismic conditions. The safety design of space structures under seismic conditions could be tackled by using 3DSIB. Dr Cai is a Chartered Engineer, and a member of the Institution of Civil Engineers. He received his PhD Degree from The University of Hong Kong (HKU) in 2013, and currently holds a Post-doctoral Fellow position at the HKU. This year, certificates of Merit in Category I were presented to Mr CHAN Kai-sang, Miss CHEUNG Yuen-man, Miss LEUNG Ka-wai and Mr YIP Kin-fung while Certificates of Merit in Category II were presented to Mr MAK Fong-chuen and Mr NG Ting-fat.